Citing security concerns, the Hergé Museum in Belgium cancelled its exhibition Caricature on the day it was scheduled to open. The show would have included portraits of the Charlie Hebdo cartoonists who were murdered in Paris earlier this month. Both Sotheby’s and Christie’s reported record nominal sales for 2014 ($6 billion and $6.8 billion, respectively). 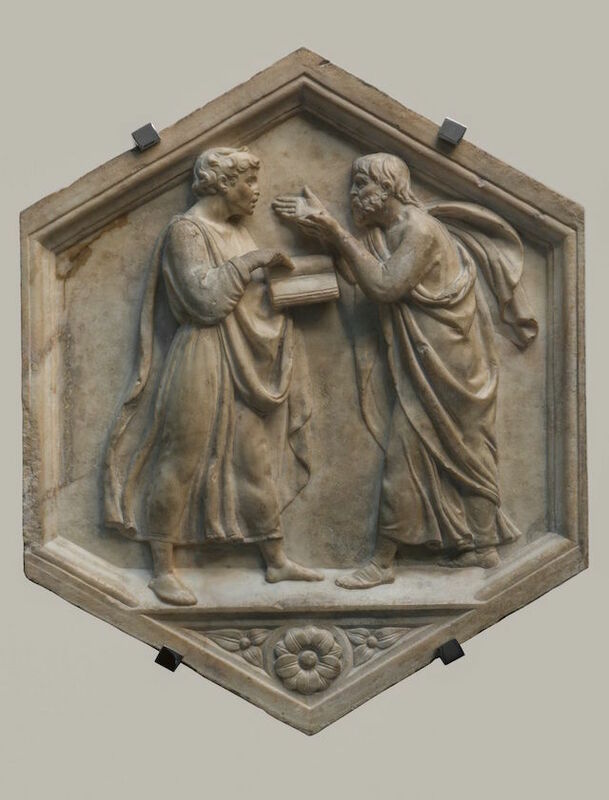 Major sculptural works by Donatello, Filippo Brunelleschi, Nanni di Banco, and Luca della Robbia will go on display for the first time in the US next month. The exhibition, entitled Sculpture in the Age of Donatello, will open at New York City’s Museum of Biblical Art on February 20. The Bronx Museum of the Arts and Cuba’s El Museo Nacional de Bellas Artes de La Habana announced Wild Noise, an exhibition and “extensive visual arts exchange” between the two institutions. The Metropolitan Museum of Art plans to sell off $250 million of its taxable debt in order to finance infrastructure projects. Massimo Osanna, the superintendent of Pompeii, is organizing an exhibition of objects stolen from, and then subsequently returned to the ancient city. The objects, which typically consist of building and terracotta fragments, are often accompanied by letters of apology penned by tourists. Wildenstein & Company filed a lawsuit against Qatar over the country’s aborted purchase of the company’s lavish Upper East Side headquarters. The heirs of the Aldi supermarket chain were awarded €19.4 million (~$22 million) in damages after a Düsseldorf court ruled that art dealer Heige Achenbach had made unauthorized commission charges on the sale of paintings and vintage cars on behalf of Aldi heir Berthold Albrecht. 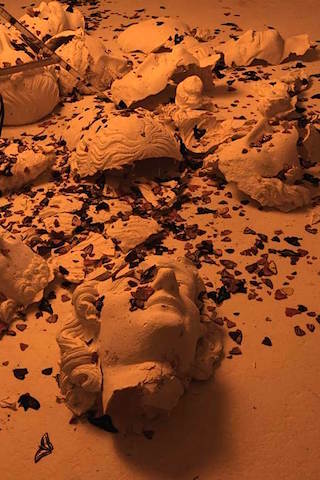 French artist Loris Gréaud hired local stuntman to destroy around 40% of the work on display at the opening of The Unplayed Notes Museum, an exhibition of artifacts collected by the artist at the Dallas Contemporary and the Joule Hotel. Liberal Democrat Councilor Fraser MacPherson has called on the financial watchdog Audit Scotland to launch an inquiry into the ballooning costs of Dundee’s proposed V&A Museum. The project, the cost of which recently increased to £80 million (~$120 million), is already being investigated by the Dundee City Council. The Scottish government has pledged an additional £10 million ($15 million) towards the museum’s construction. The city of Barcelona has accused the four daughters of the late Catalan industrialist Julio Muñoz Ramonet of illegally removing artworks from their father’s mansion. Ramonet bequeathed the property to the city of Barcelona in 1991. 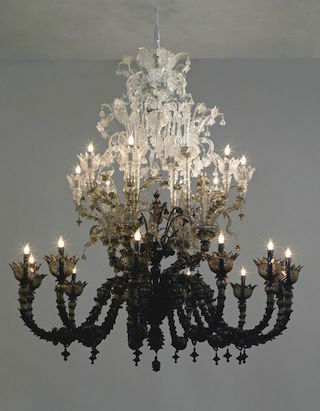 His collection is thought to include works by Rembrandt, El Greco, and Goya. The U.S. Supreme Court rejected an appeal bid by the Norton Simon Museum over the ownership of a pair of paintings by Lucas Cranach the Elder. “Adam and Eve” (c. 1530) belonged to the Jewish art dealer Jacques Goudstikker. According to The Art Newspaper, Marei von Saher, Goudstikker’s heir, has been battling for the paintings in federal court since 2007. A farmer in Norfolk discovered that a bent piece of bronze he had used as a doorstop for over a decade was actually a ceremonial dagger dating from 1,500 BCE. A restored Bansky stencil dubbed the “Haight Street Rat” has gone on display at 836M, a non-profit gallery in San Francisco. Brian Grief, who raised $10,000 on Kickstarter to restore the dismantled mural, has been unable to find a museum that will accept the work. 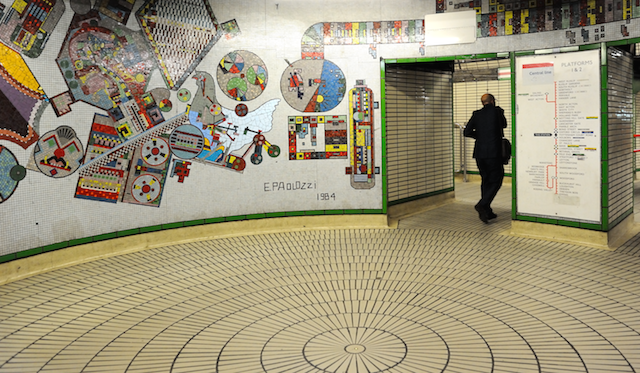 A petition was launched to save Eduardo Paolozzi’s mosaic murals at Tottenham Court Road station. Transport for London has stated that part of the work will need to be destroyed in order to make way for the new Crossrail link. George Lucas stated that he would still consider Los Angeles as a location for his Lucas Museum of Narrative Art should plans to build the museum in Chicago fall through. Last November, Friends of the Parks filed suit against the proposed museum, arguing that its placement beside Lake Michigan would disrupt the lakefront’s ecosystem. The vacant Bronx Borough Courthouse will be used to host an art exhibition while developers search for a permanent tenant. The arts group No Longer Empty have yet to announce the details of the show. Researchers confirmed that two bandaged mummies stored within the Vatican Museums are fakes. The Corning Museum of Glass acquired five contemporary artworks, all of which will be displayed in the museum’s new $64-million wing due to open in March. The works are by artists Roni Horn, Klaus Moje, Ayala Serfaty, Jeroen Verhoeven, and Fred Wilson. In anticipation of its 50th anniversary, the Los Angeles County Museum of Art acquired iconic works by Hans Memling, François Boucher, Giambologna, and Jean-Auguste-Dominique Ingres. David Cameron presented Barack Obama with a print by Henry Moore to commemorate the president’s first trip to Stonehenge. Preston H. Haskell, a trustee emeritus of the Museum of Contemporary Art Jacksonville, donated $5 million to the museum’s endowment. The San Diego Museum of Art acquired paintings by Francisco de Zurbarán and Joaquín Sorolla y Bastida. Colonial Williamsburg acquired a Gilbert Stuart portrait of George Washington. The painting is based on the artist’s “Athenaeum” portrait, best known for inspiring the profile of Washington used on the $1 bill. “Alias HK_58,” a replica of a mosaic mural by the French street artist Space Invader, sold for HK$ 1.96 million (~$250,000) at the Sotheby’s Hong Kong contemporary art sale. The work depicts the cartoon character Hong Kong Phooey. 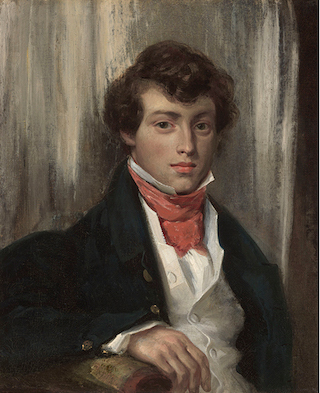 The Fine Arts Museum of San Francisco bought a portrait of Charles de Verninac by Eugène Delacroix, the first painting by the artist to enter their collection. Hollyhock House, the first home designed by Frank Lloyd Wright in Los Angeles, is set to reopen next month after six years of renovations. Trevor Schoonmaker, the chief curator of the Nasher Museum of Art at Duke University, will be the artistic director of Prospect.4, the next edition of the New Orleans triennial. He succeeds LACMA curator Franklin Sirmans, who curated Prospect.3. The Dahesh Museum of Art is relocating to a townhouse at 178 East 64th Street. The museum was forced to operate without a space following a rent increase at its former location on Madison Avenue seven years ago. Linda Wolk-Simon was appointed director and chief curator of Fairfield University’s Bellarmine Museum of Art. Dominique H. Vasseur, the chief curator of the Columbus Museum of Art, will retire on January 30. David Breslin was appointed chief curator of the Menil Drawing Institute. 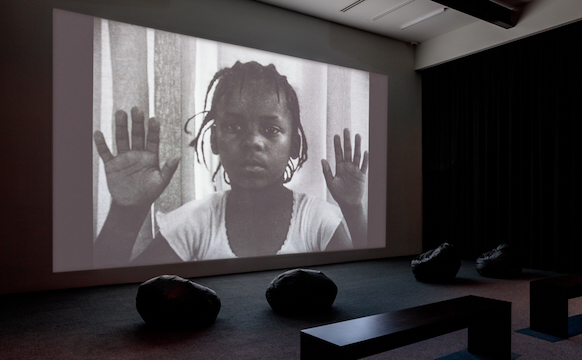 Lanka Tattersall was appointed assistant curator at the Museum of Contemporary Art, Los Angeles. Sara Raza was awarded a curatorial residency as curator for the Middle East and North Africa as part of the Guggenheim’s UBS MAP Global Art Initiative. The Brooklyn Museum has selected Brooklyn-based design firm SITU Studio to redesign its lobby and pavilion entrance. James Thompson was found guilty of arranging the murder of art dealer Brian Daniels in a bid to inherit his fortune. Casey Lewis, the alleged hitman, is scheduled to be tried in late February. Italian police recovered 5,361 rare antiquities in a number of raids on warehouses in Basel, Switzerland. The haul is the result of a 14-year investigation into a Swiss-based trafficking ring. 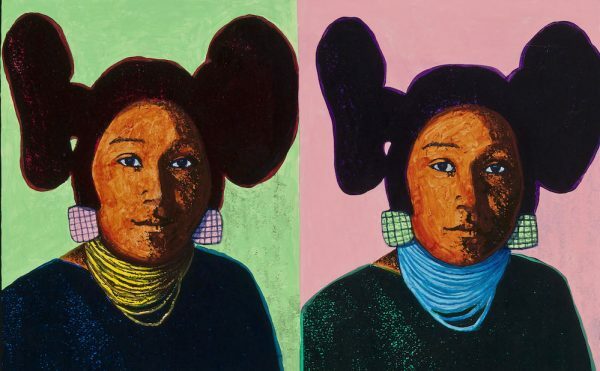 Twelve artworks were stolen from the Bear Barn Art Gallery in Edgewood, New Mexico. Four people were charged with stealing four glass sculptures from the Denver Botanic Gardens. Three of the sculptures were later destroyed by farming equipment after two of the suspects dumped them in a corn field. A public sculpture entitled “Big Turtle Riverbox” was stolen from Scioto Park in Dublin, Ohio. The work was a replacement of the original, which was stolen in 2008. The National Book Critics Circle Awards announced their 2014 finalists. 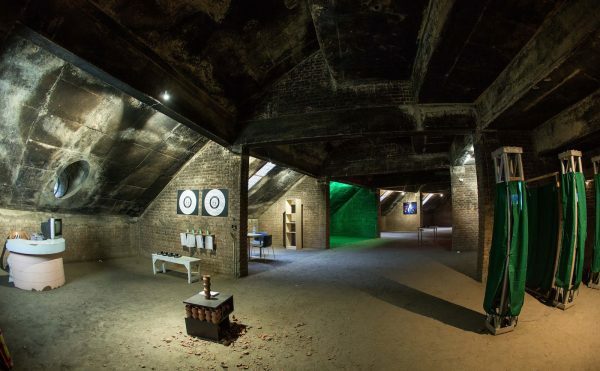 Mexican sculptor Abraham Cruzvillegas was selected to create the next installation for the Tate Modern’s Turbine Hall. Conceptual artist Theaster Gates will split his Artes Mundi first prize money (£40,000, or ~$60,000) with the nine other artists who were shortlisted. Tadeusz Konwicki (1926–2015), writer and filmmaker. 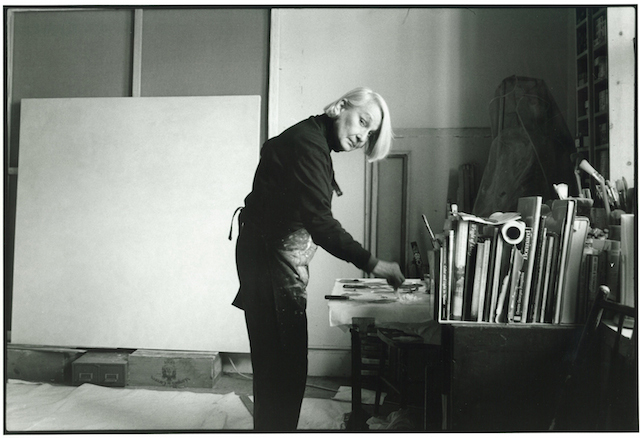 Dr. Howard D. Sirak (1922–2015), collector and major donor to the Columbus Museum of Art.